The handsome octagonal bandstand at West Side Park was built during the Great Depression, in 1933-34, by funds from the Civil Works Administration (CWA), which was designed to be short-lived New Deal program to help jobless Americans obtain temporary employment. It is constructed with native field stone with heavy mortar joints. Round arched openings are at the ground level forming window style openings with wooden sills; there is an arched doorway which leads to a staircase to the stage area. The second level is where bands would have played and has a minimal metal railing; the roof is red barrel tiled and features two small gabled dormers. The bandstand has not changed much over time, and still remains an attractive structure. West Side Park property was created in 1921 with site purchased from Fred and Josephine Rhodes for the original purpose of a disposal plant. In 1931, additional land was acquired from various sources with a park in mind. Park structures, including the bandstand, were a focal point of CWA activity by the city. Construction by the CWA was started in December 1933 when there was unseasonably warm weather. 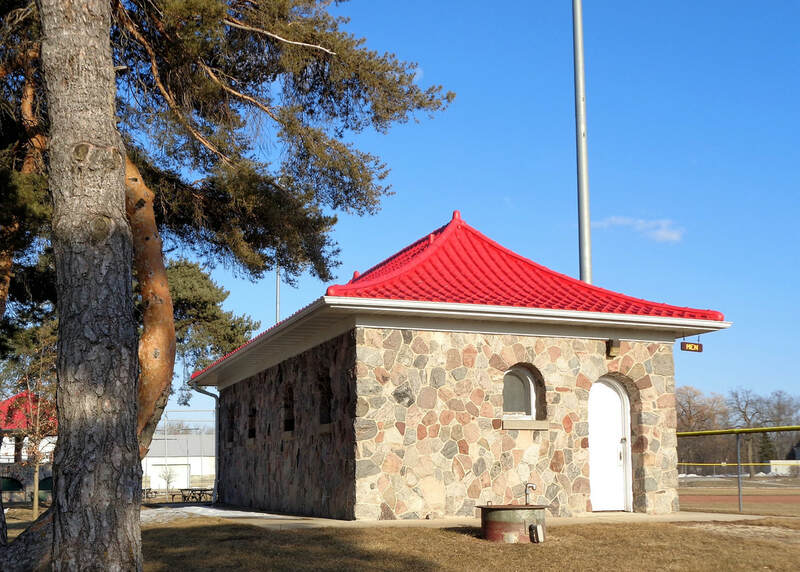 CWA funds ended in March 1934, but work on the bandstand, restrooms, tennis courts, and athletic field was allowed to be completed under the Federal Emergency Relief Administration (FERA). A fountain site had also been decided upon and was built. In Wisconsin, CWA projects were overseen and approved by the State Industrial Commission. CWA employees were paid in cash in hopes that it would be spent within the community. The minimum wage was $0.50 per hour; workers generally worked six-hour days, five days per week. Both East Side (renamed Willowbrook Park in 1964) and West Side Parks benefited from CWA funds. At its height, 243 men were employed in Hartford and the city received about $50,000, with $40,000 going to pay workers and $10,000 for materials. 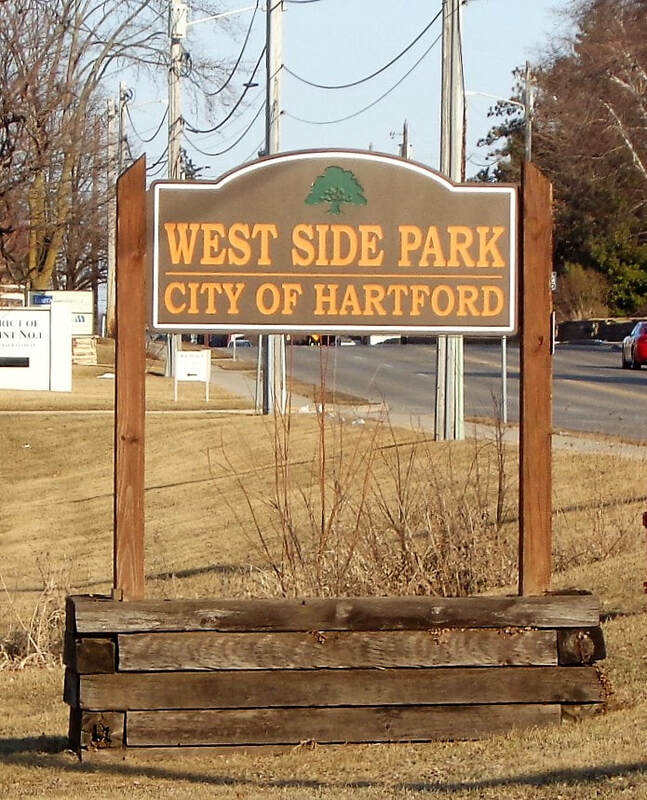 West Side Park used $15,00 to $20,000 of these funds. This information was provided by the WI Historical Society. This building houses the rest rooms. It is built of similar materials as the bandstand; a bridge on Grants Street also matches the building stone materials.